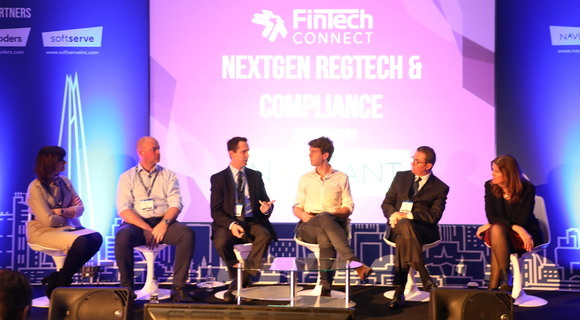 Cybercrime remains a major threat to fintech and consumers as the industry keeps evolving rapidly and regulation tries to keep up, according to an expert panel at FinTechConnect in London today. The roundtable debate, moderated by International Investment's publisher, Christopher Copper-Ind, revelead the extent of the problem. 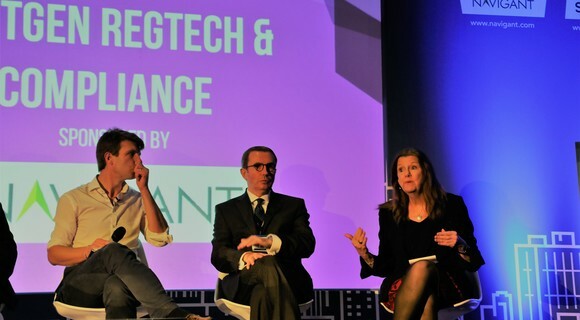 "Totalling $2.5 trillion, it's equivalent to the GDP of the whole of the UK," said Jo Ann Barefoot, chief executive and founder of Barefoot Innovation and co-founder of Hummingbird Regtech, a new-generation technology firm focused on AML. Speaking about the need for a integrated approach to regulation and technology, she also noted the uneven playing field in fintech. "I have to worry about data privacy... others don't," Barefoot added. 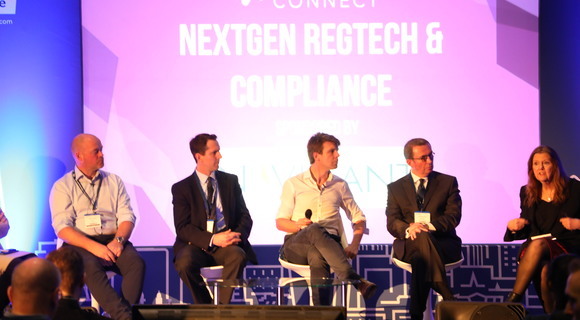 Barefoot was speaking as part of a panel looking at "Taking an Integrated Approach to Regulation and Technology". 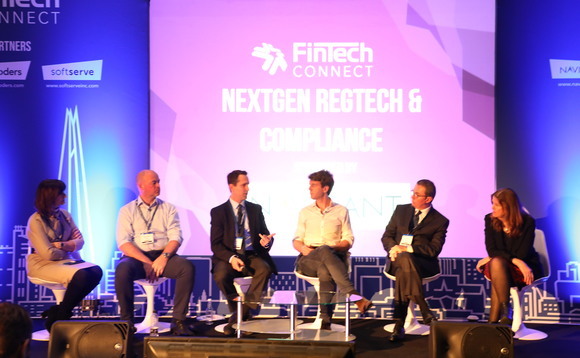 The panel was in agreement on the need to maintain innovation to remain ahead of the cybercriminals, and expressed some relief that regulators working more closely with tech companies to develop integrated solutions. 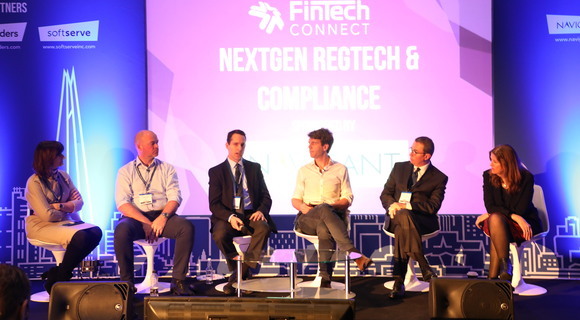 The panel, pictured above from left to right, consisted of: Ellen Zimiles, managing director, financial services advisory, at Navigant; Barney Gregory, sales director of HooYu.com, Ken Davis; technical director at Avoka; Christopher Copper-Ind, publisher of International Investment; Christophe Gouelo, head of regtech consulting at BNP Paribas; and Jo Ann Barefoot, founding CEO of Barefoot Innovation in Washington DC. 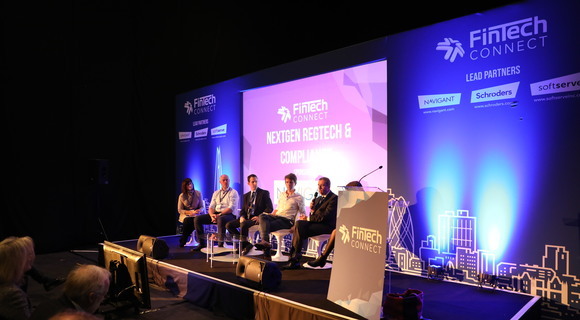 Now in its fourth year, FinTech Connect is one the UK's largest and fastest growing financial trade show. 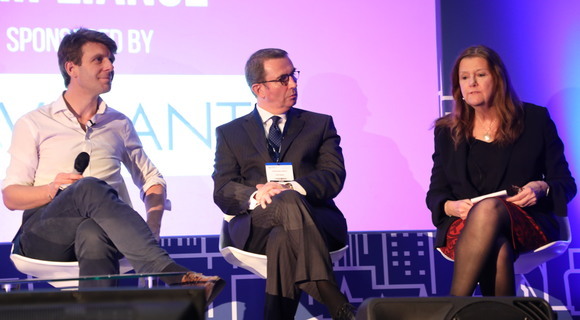 The conference draws over 5,000 delegates from 1,800 companies. International Investment is a media partner for the event.